Chanel unveils a whole collection inspired by the patterns of Gabrielle Chanel's Coromandel lacquered folding screens. 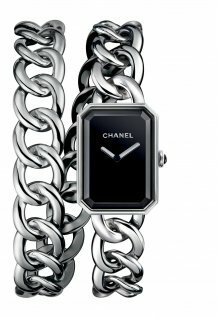 On June 29, ahead of the madness of Haute Couture Week, Chanel presented its new High Jewelry collection titled Coromandel in an exhibition space of the Grand Palais in Paris. 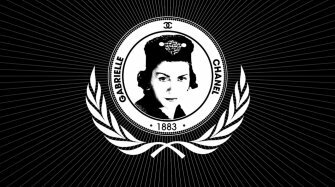 To set the tone for the show, an imposing 10-panel Coromandel screen had been transported to the site from Mademoiselle Chanel’s apartment on the Rue Cambon, set up as a thoughtful greeting to visitors. 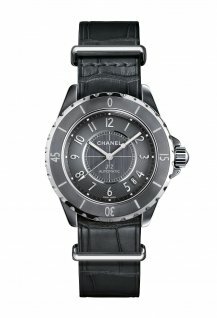 “We thought it would be a nice welcome and a good way to announce the theme of the show,” said the Maison Chanel. 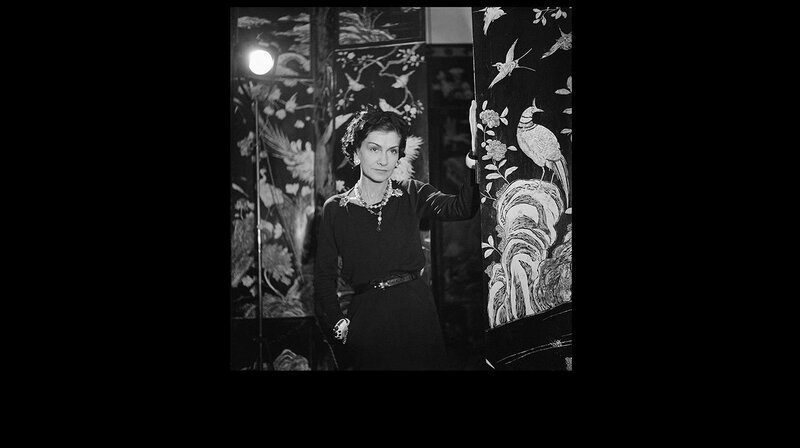 Through July 5, in an immersive environment of light and sound, under the shadow of suspended clouds and feathered creatures in flight, 59 pieces of the spectacular collection are displayed to interpret, as is the tradition at Chanel, motifs inspired from the private universe of Gabrielle Chanel, delving this time into her passion for exotic orientalism and the poetry of Chinese lacquered folding screens. The name Coromandel is derived from that of a coastal region in southeast India, even though the provenance of the screens is in fact southern China. The term actually refers to the technique used to create the panels by applying lacquer in even layers on top of a wooden base. Motifs are then carved into the lacquered screen’s surface with colored pigments added to the recesses. Sophisticated and elegant, the collection, of which 29 pieces are one-of-a-kind, features intricately crafted necklaces, high-octane rings, four jeweled watches and a rare addition of delicate brooches. While mostly monochromatic, eight pieces in the collection, including a watch, dazzle the eye, some with the fire of yellow and brown diamonds, others with rubies and red spinels, and varying shades of green emeralds, tourmalines and tsavorites. The motifs throughout the collection take the decorative patterns of Coromandel panels – imaginary feathered birds and languid branches in exotic gardens - and beautifully transpose them in a modern reinterpretation around three themes: the floral, evoking Chanel’s signature flower, the Camellia; the fauna, in the shape of birds of flight; and the mineral, reflecting Chanel’s attachment to crystal and gemstones. 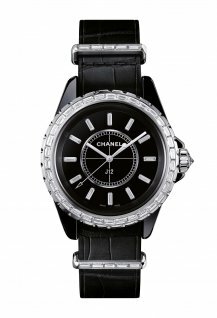 Each of the four high jewelry watches is a stunning example of the precise craftsmanship of Chanel’s master engravers, carvers and stone-setters. The “Vol Suspendu” timepiece, in white gold and diamonds, explores the flight of feathered birds in two versions, one of them a secret watch. 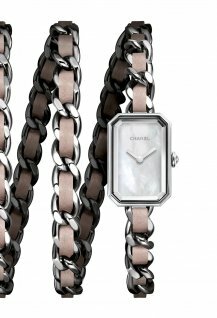 In the floral line, the “Impression Florale” watch, in white gold and diamonds, boasts a fully jeweled bracelet that evokes the naturalistic repertoire of the Coromandel landscape, albeit in a highly stylized and architectural rendition of the rectangular panels. 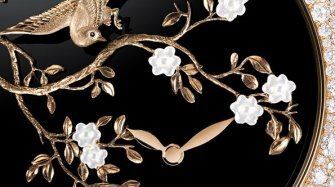 The “Fleur de Laque” watch, in a combination of white and yellow gold, features cultured pearls on the bracelet, while touches of black lacquer and mother of pearl add an “Asian” touch. The fourth and last timepiece, the “Calligraphie Florale,” rich in colors, combines white gold, platinum, white diamonds, pigeon-blood rubies, emeralds, enhanced by the hues of orange sapphires and black spinels for contrast. 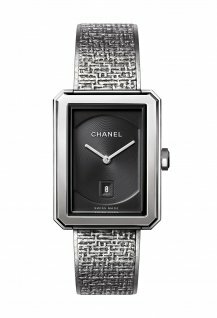 While this is the first time that Chanel has fully embraced the theme of Coromandel in a complete collection, the Maison had in the past touched on similarly inspired themes. In 2003, the Jardin de Camelias collection had featured a Coromandel-inspired parure. 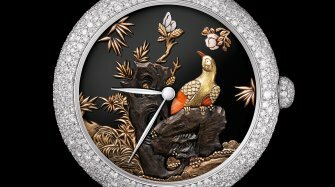 In 2012, the Mademoiselle Privé watch collection, first shown at Baselworld, had featured a series of delicately sculpted gold flying birds perched on tremblers on the métiers d’art dials.